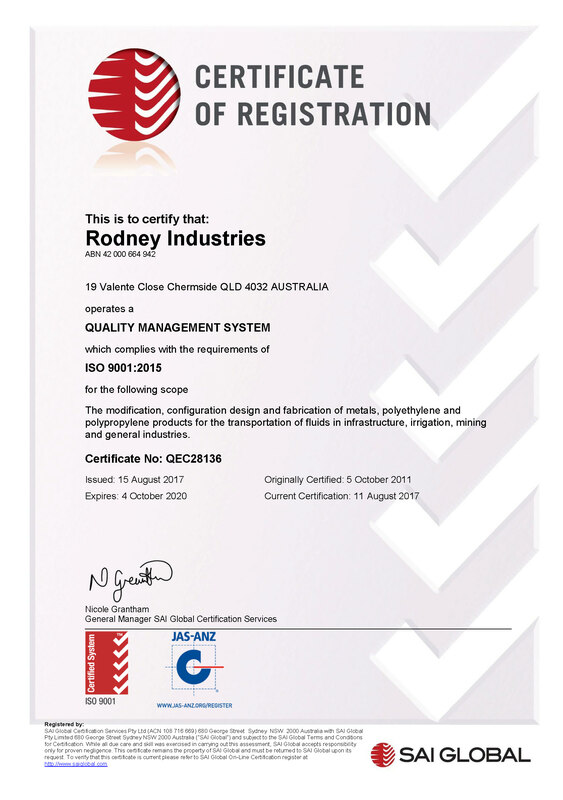 In 2014, all three divisions of Rodney Industries; Metals, Plastics and Irrigators acquired ISO Certification. What does this mean as a customer? It means that you can be assured that the design and manufacturing process of our fittings meet Australian Standards. We pride ourselves in our products – so you can do the same.